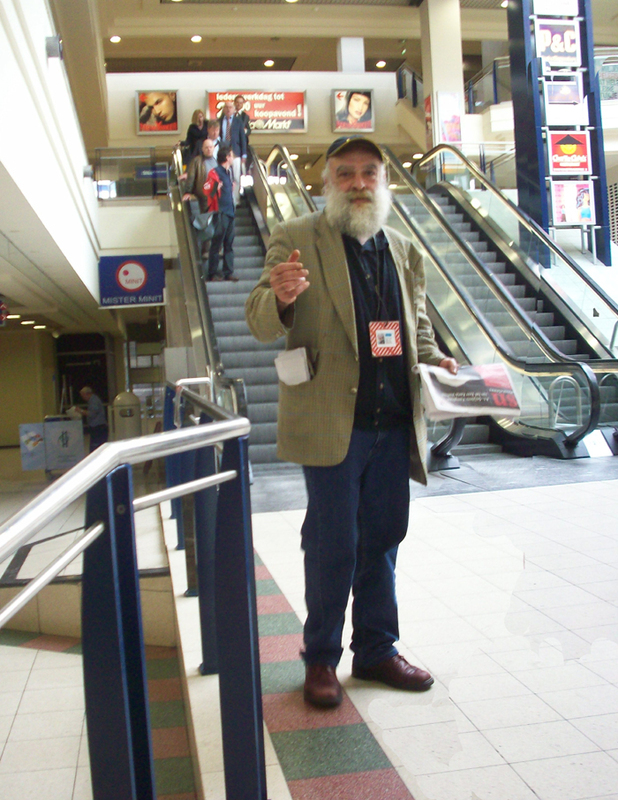 I am contacting ‘Straatnieuws’ (‘Street News) , a monthly Utrecht newspaper sold by homeless people to generate a little income. Hope to interest them in my Hoog Catherijne project. 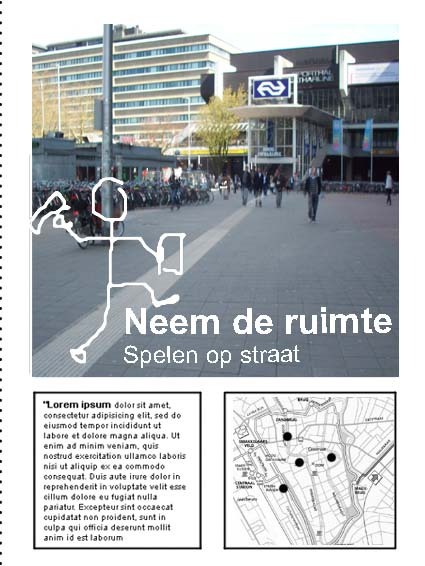 I like their approach and would love to see my intervention at Jaarbeursplein come back to the street via their newspaper. Expodium, platform for young art in Utrecht, has had its critical eye trained on the redevelopment plans for Hoog Catherijne and the Utrecht Central Station area for a number of years now. 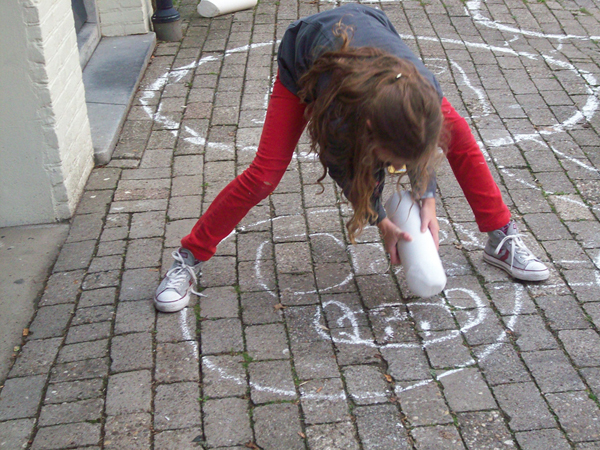 They challenge – in cooperation with MaHKU – young artists to do playful interventions in the area to comment on the plans for redevelopment. 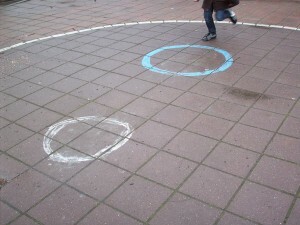 Everdien has been interested in city playgrounds for a while, places where young and old can meet. Will the renovated Hoog Catherijne, apart from piazza’s and patio’s, have places where kids can play while parents meet and talk? Her expectations are not high. 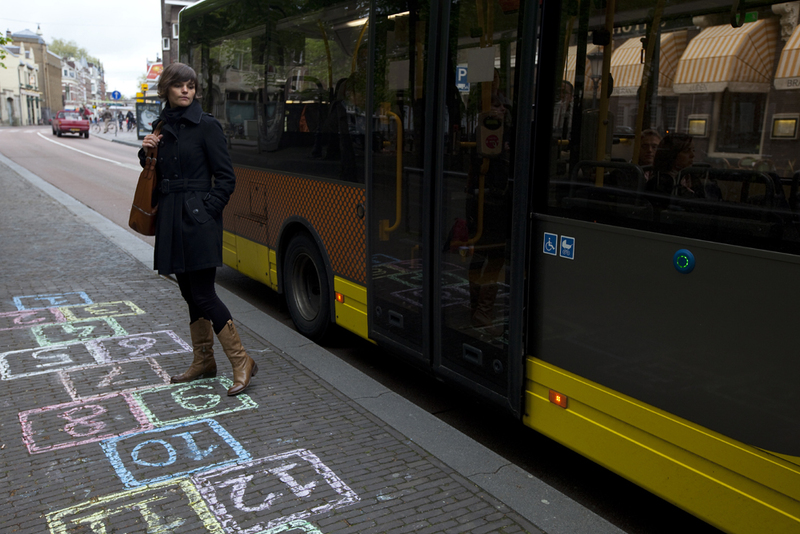 This is why she will install a -very temporary – playground at Jaarbeursplein this coming June. Where children can play and adults sit in the sun. Where consumers can slow down. Using very simple means she will make a statement against the monoculture that will permeate the new Hoog Catherijne as well as the old.